Do you spend a lot of money on stocking stuffers for Christmas? I always add these to my shopping list and make sure that my kids have a few nice little gifts in their stockings from Santa. One of the things that I have learned over the years is that you can add multiple gifts to your stockings without spending a fortune. One way you can do this is to simply make your own DIY stocking stuffers, and I’ve got a wonderful list of ideas to help you. I have found 50 cheap and easy stocking stuffers that you can make between now and Christmas to save yourself some money. DIY gifts really are the best. I don’t know anyone who wouldn’t prefer something homemade to something bought in a store. There are gifts in here for the entire family, too from kids to teenagers and even a number of gifts for men. 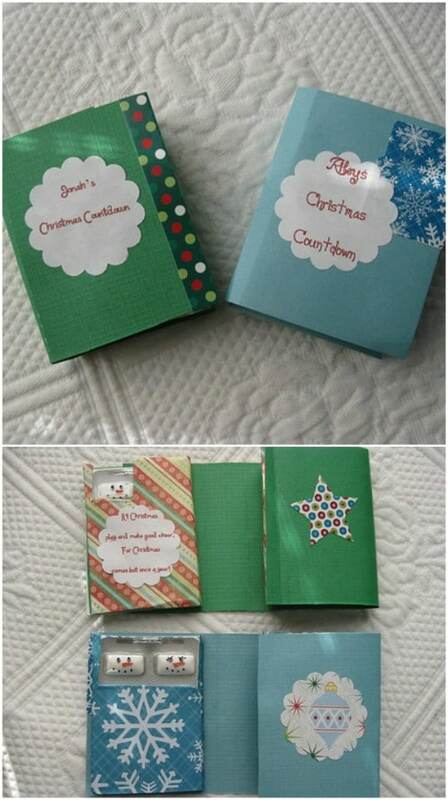 If you love making your own Christmas gifts, these are definitely worth a look. And you should also check out these 100 DIY Christmas gifts that people will actually want. There is a gift in here for everyone on your gift list. Now, let’s get back to our list of homemade stocking stuffers. This list contains everything from homemade sugar scrubs to bath salts and toys. Whether you’re looking for a DIY perfume for a friend or a homemade robot for your little ones, you’re going to love these little gifts and they are all the perfect size for those stockings. 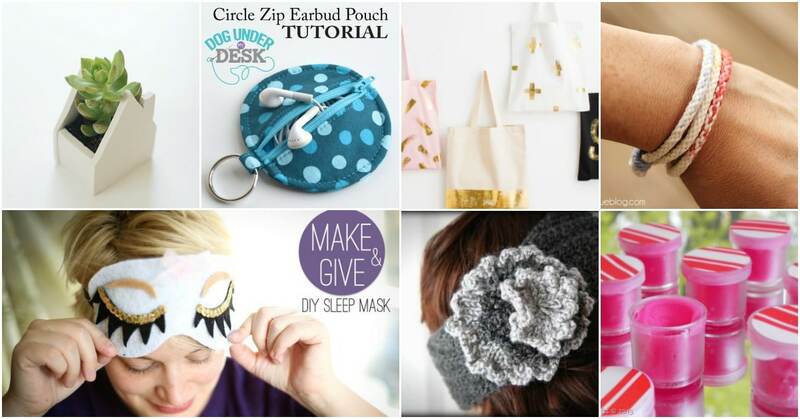 When you begin making your Christmas list, leave room for some of these DIY stocking stuffers. And while you’re in the DIY spirit, take a look at these 20 outdoor Christmas decorations that you can make yourself. 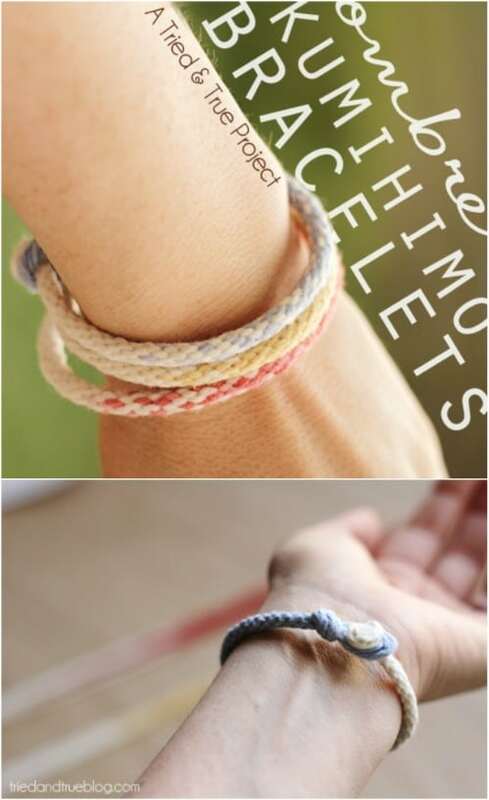 These little bracelets are super easy to make and they are perfect for pre-teens and teenage girls. They’re also great if you have kids that want to make their own gifts to give. You just need yarn and you can choose any color and type of yarn that you want. The bracelets work up really quickly. You can literally make several of these in an afternoon and fill all of your stockings with homemade jewelry. 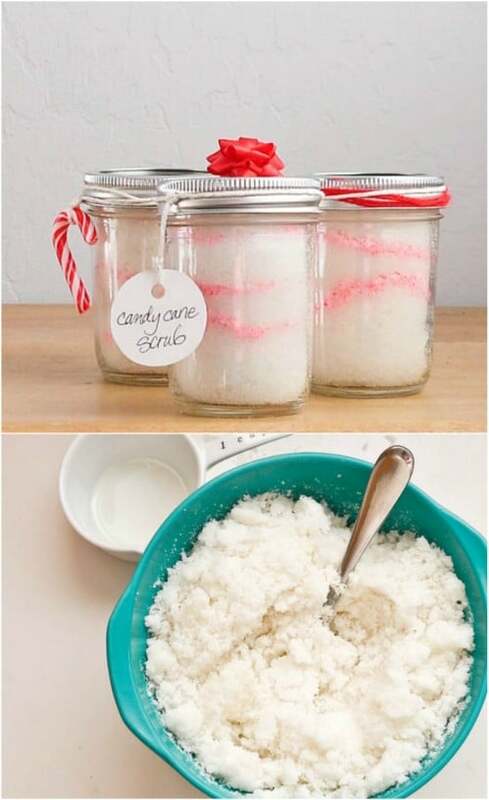 Give a gift of relaxation with these homemade candy cane bath salts. These are great for teenage girls and they’re really easy to make. You use Dead Sea salt, Himalayan pink salt, jojoba oil and peppermint essential oils to make them and you can choose any number of containers. 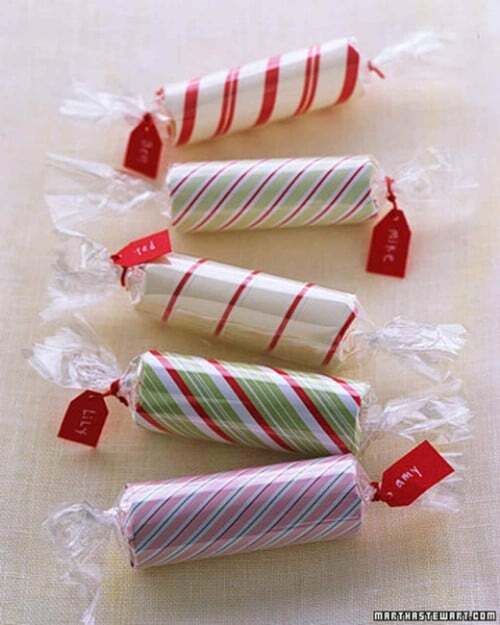 Find fillable candy canes and just hook these to the sides of your stockings or you can make larger batches and fill up an entire container. Here’s another wonderful candy cane based gift that any girl will love. This homemade candy cane sugar scrub is super easy to make and it smells wonderful. You can make this and put it in a jelly jar that you decorate with ribbon or find Christmas themed containers to hold it. You’ll need white sugar, crushed candy canes, peppermint essential oils and just a bit of olive oil to make it. You could also make homemade bath bombs – girls love bath bombs! If you have teenagers then you know just how important their earbuds are for listening to music – and drowning out parents. 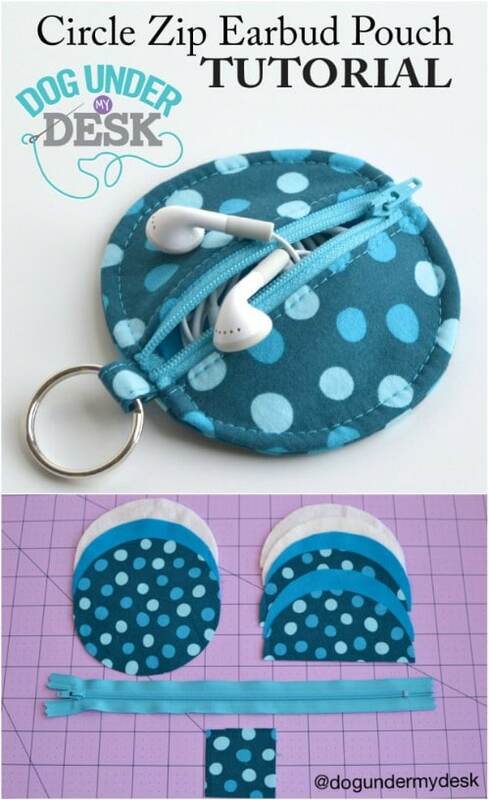 You can give your teenagers a wonderful stocking stuffer that they will love with this homemade earbud pouch. Help them to protect their earbuds and do it for really cheap. You only need a bit of fabric and a small zipper to make this and it works up pretty quickly. 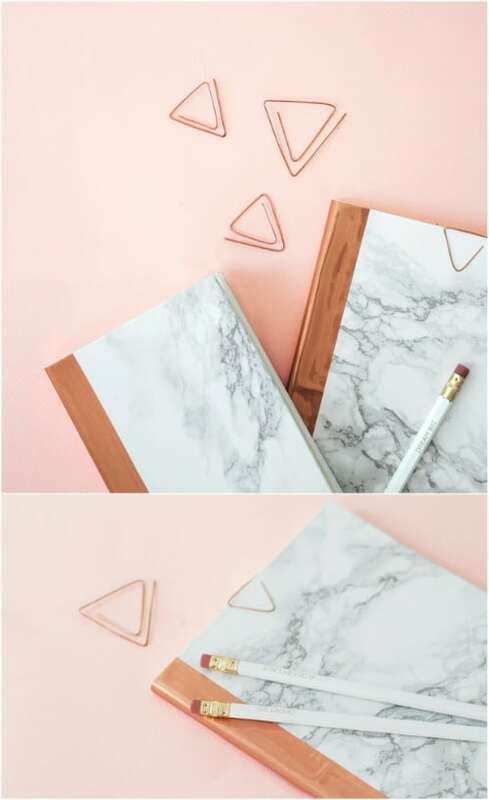 These DIY notebooks are gorgeous and they’re really easy to make. They’re also the perfect gift for teenagers or anyone who loves to write or who keeps a journal. You make these from a plain notebook and then add contact paper to create the marbled look that you want. The copper is done with self-adhesive vinyl and overall, this is one of the easiest stocking stuffers that you could make. If you know someone who collects shot glasses, these copper dipped versions are perfect. 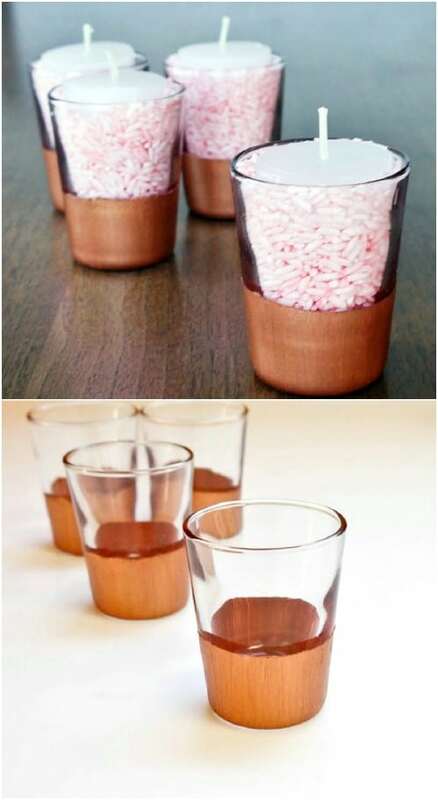 You could also do this with coffee mugs or other glasses if you prefer not to give shot glasses. You just mark the section that you want to dip with painter’s tape and then dip it into copper colored glass paint. This is a great last minute stocking stuffer idea for kids of all ages. This little design a robot tin is adorable and it’s super easy to make. You just print out the robot pieces on printable magnet paper and then add them to an empty tin, like the ones you get from mints. You can even add vinyl stickers to decorate the tin itself. 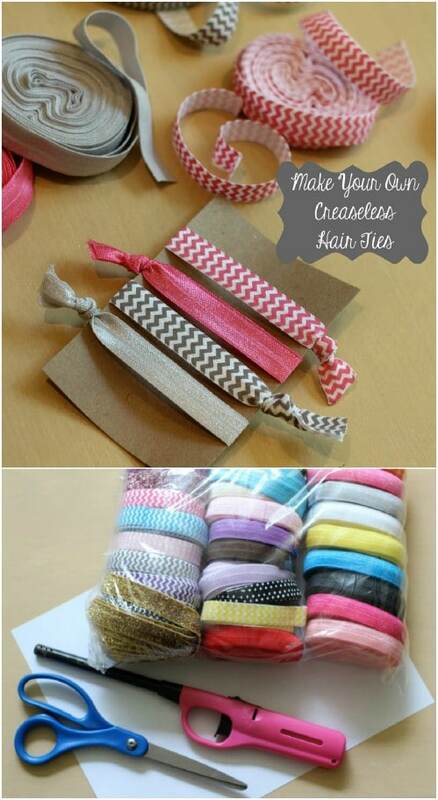 Hair ties are always a must in my house for stocking stuffers. When you have girls, you know just how many of these things you can go through in a year’s time. These creaseless ones that you can make yourself are not only cheaper than store bought versions but they’re also super easy to make. You just use fold over elastic to create them and then put them on a clear plastic container or even wrap them around an empty toilet paper roll. 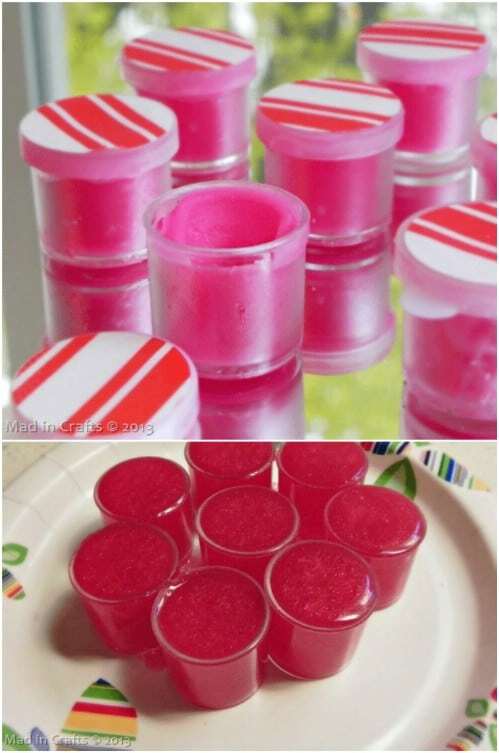 Pre-teen and teenage girls are going to love this DIY lip gloss. It has a wonderful coconut flavor and you can color it red and put it into containers that are decorated for Christmas. To make the gloss, you need Vaseline (buy the cheap stuff from the Dollar Tree. It works just as well). You also need virgin coconut oil and a tube of lipstick to create the tint, plus some flavoring. There’s just no end to the number of coconut oil recipes that you can make. So, it’s not summer but you can still fashion DIY gifts for your garden lovers and use those gifts to fill their stockings. You use polymer clay to make these and they are really easy. 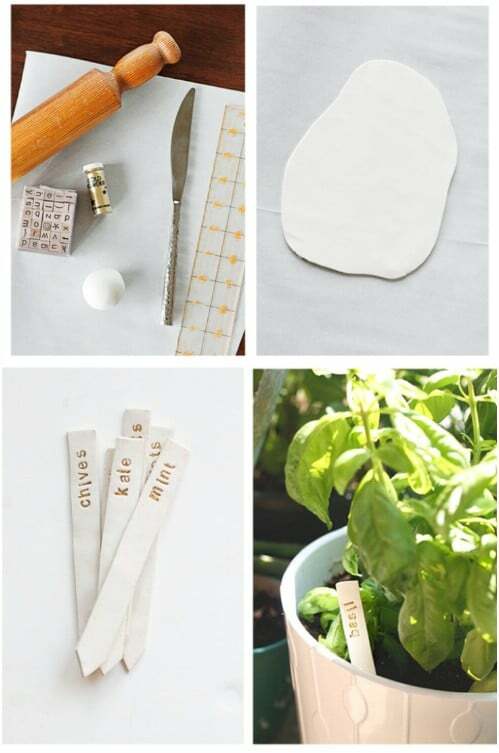 Just cut the markers out of the clay and then stamp them with gold powder to create the labels for the garden items. These are also great for indoor herb gardens. Nothing is better during the cold winter months than hand warmers and you can give the gift of that warmth in true DIY fashion. 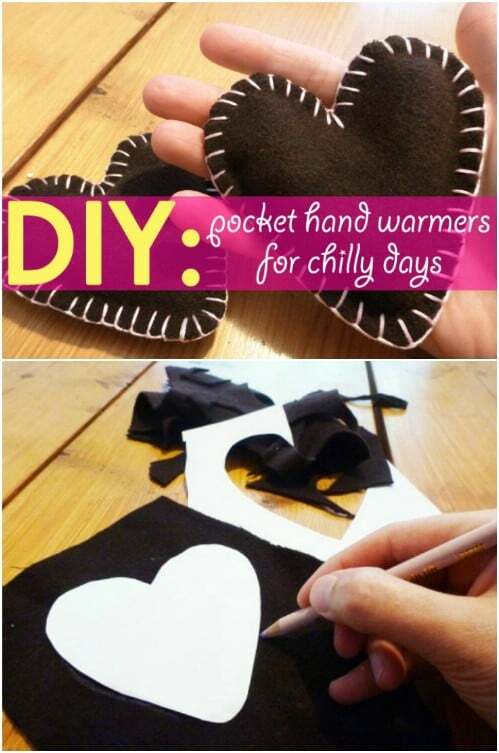 These little DIY hand warmers are so easy to make and you can do them in any number of designs and shapes. I love the heart shapes though. They’re adorable and the perfect size and shape for keeping your hands warm. To make these you will need rice or barley to fill the warmers and fabric, sewing supplies and a crochet hook or knitting needle for the details. 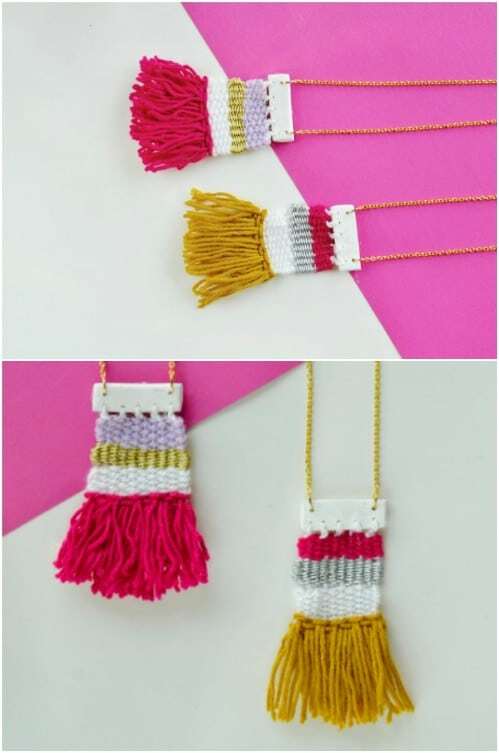 A necklace is also perfect for stocking stuffing and these DIY woven necklaces are super easy to make. 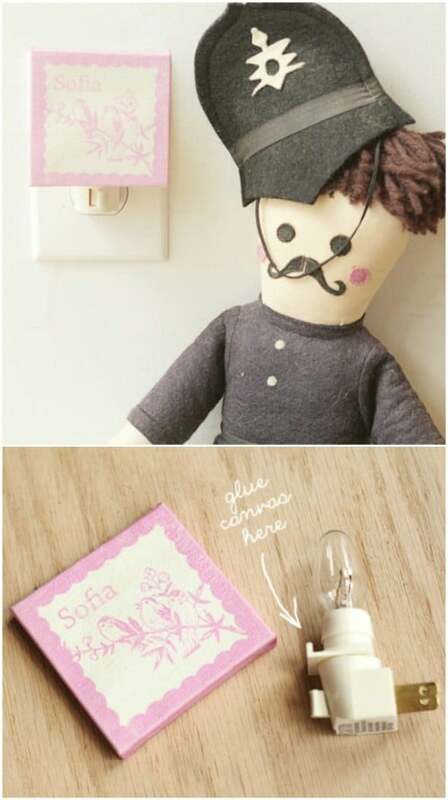 To make these, you will need yarn in assorted colors, gold colored yarn, a needle, cardboard for the template, masking tape, clay and keychain findings as well as other basic tools like pliers and scissors. You can do these in any combination of colors so they’re great for sports fans or cheerleaders – do them in their favorite team colors. DIY jewelry is always a big hit with teenagers. Here’s another wonderful gift for all of the girls in your life. These DIY lip balms are so easy to make and they make wonderful gifts for the holidays, especially when you use holiday scents to create them. You can make these from ordinary kitchen ingredients and pour them into tins that are decorated for Christmas to make them even more perfect as stocking stuffers. You can make an iPhone case with a map, a clear phone case and a few basic craft supplies. These are perfect for teens who love geography or just anyone who would appreciate a custom iPhone case. Clear plastic phone cases are really inexpensive and you can use an old map to create the design. You can actually do this with any number of images or papers and create all sorts of custom iPhone cases. 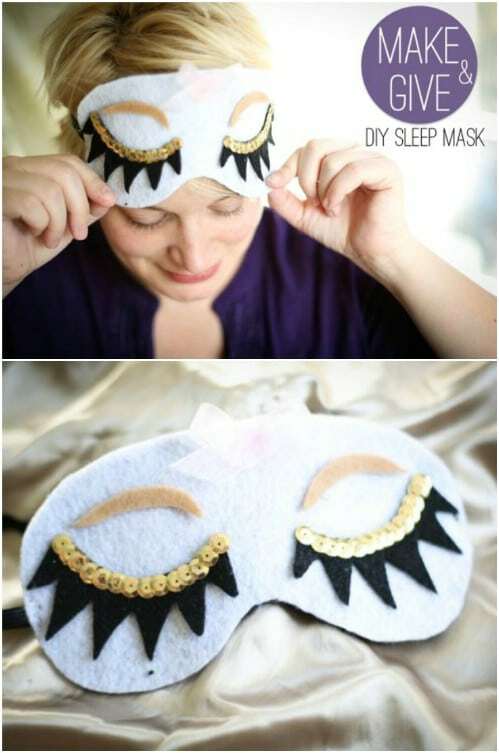 For the teenage girls and women on your gift list, these DIY sleep masks are perfect. They fit perfectly into stockings and are so very easy to make. You can customize these too, in any way that you want and all you need to make them is some felt, a template for the design, elastic and some embellishments like gold sequins and ribbon. 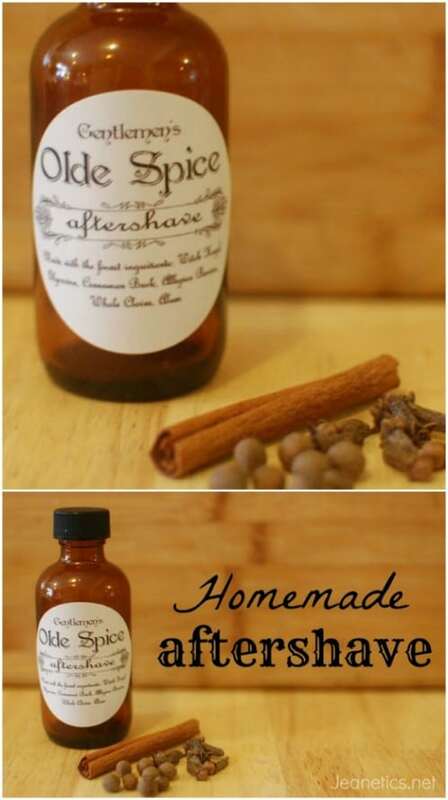 Homemade perfume is great for stocking stuffing and this one is really easy to make. In fact, there are a few different ways that you can make this. 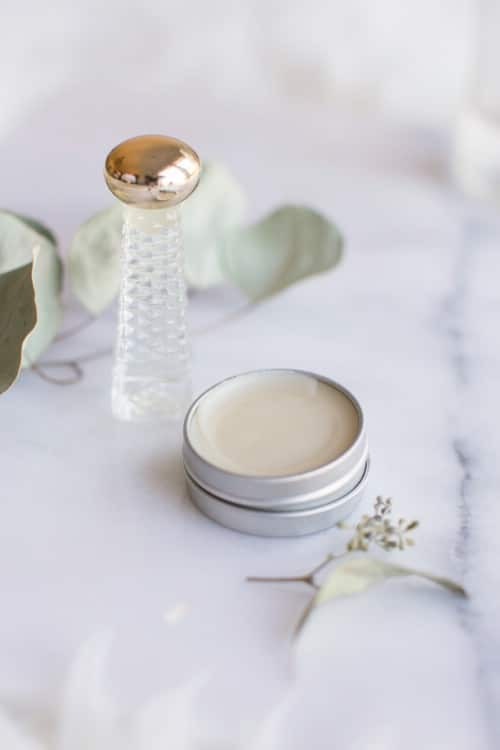 If you want a solid perfume, use a metal tin for the container and then use oil, beeswax and the essential oil of your choosing to create the scent. These little containers fit perfectly into stockings of all sizes and are sure to please all the girls and ladies on your gift list. Instead of filling those stockings up with store bought candy, why not add some homemade yumminess to them with this great peanut brittle? 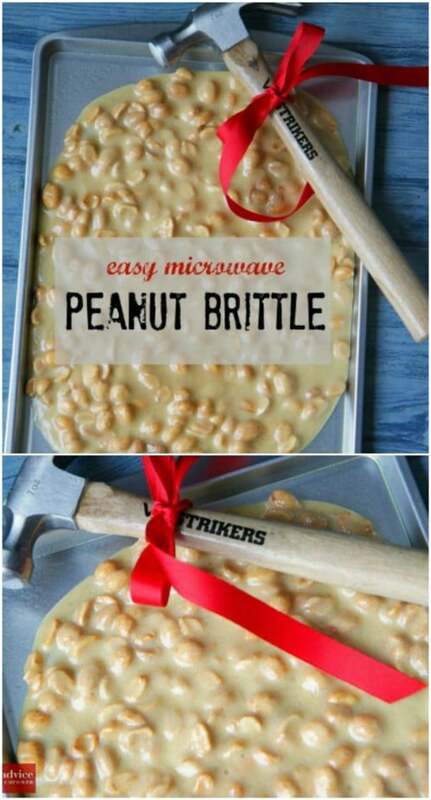 Peanut brittle is my favorite holiday candy and it really is very easy to make. Once you have it made, you can put it into small Christmas themed containers and fill up all of your stockings with DIY goodness. If you have a new driver in your house this Christmas, this faux leather keychain is the perfect stocking stuffer. These are really easy to make and cost very little. 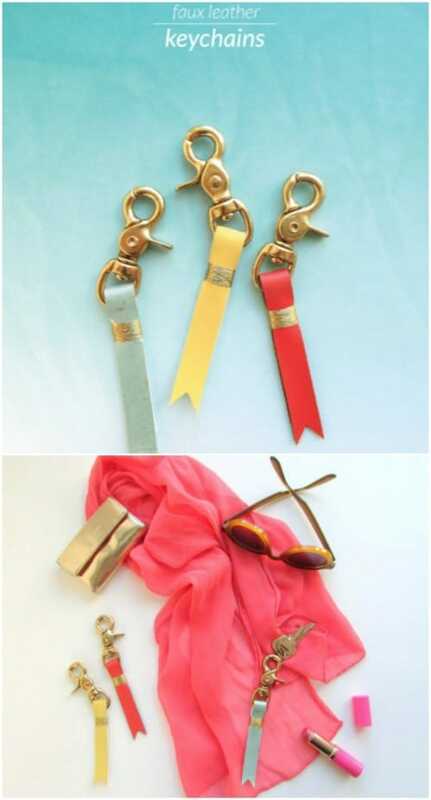 You can find these gold keychain clasps at any craft or hobby store for just a couple dollars each and then you just need a strip of faux leather, gold metallic thread and some basic craft supplies. Magnets are a great gift for anyone with a home office or teenagers who have a desk in their bedroom. 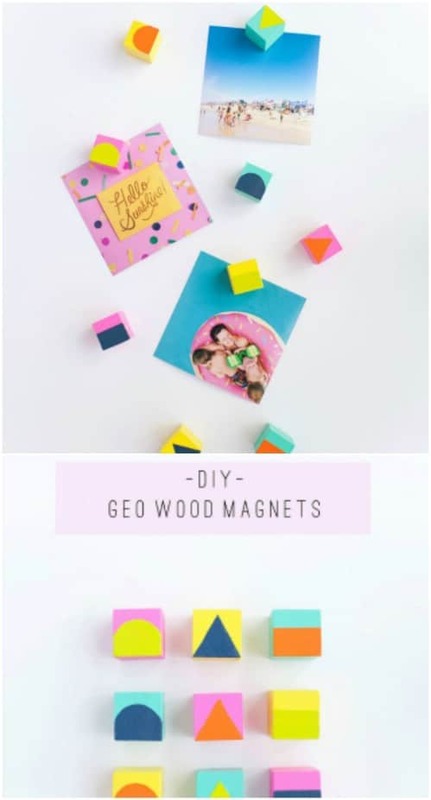 These little geo wood magnets are super easy and cheap to make and you can customize them in your teen’s favorite color. These are also great if you have grown children who you still do stockings for – someone who has their own place and may want some adorable little magnets for the fridge. Teens and pre-teens, as well as adults, are going to love this gold foil tote that you can easily make in just a few hours. These are great for stocking stuffers because they fold up so small so they’ll fit right in. You make these from a plain cotton tote bag (Hobby Lobby has them for pretty cheap). 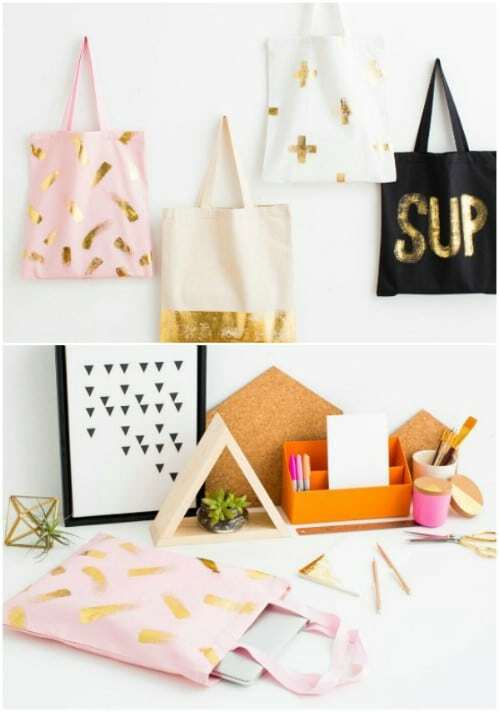 You also need gold transfer foil, adhesive and a few other basic supplies. I love these little DIY clay pots. Not only are they perfect for anyone who loves to plant, they’re super easy and cheap to make. 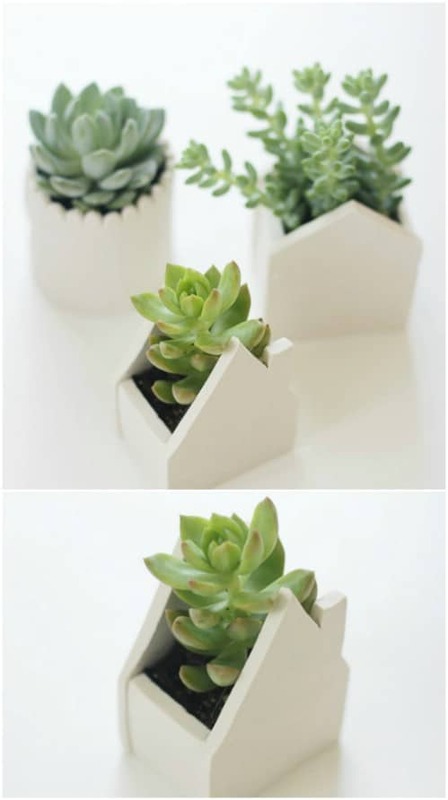 These are great for those who love succulent gardens or having their own herb garden indoors. You can easily mold them from clay and make them into any shape or size that you want to create. Legos are every child’s favorite toy and these little Lego soaps look just like the real thing. These are great for children and teens, and a few adults, and they are really easy to make. 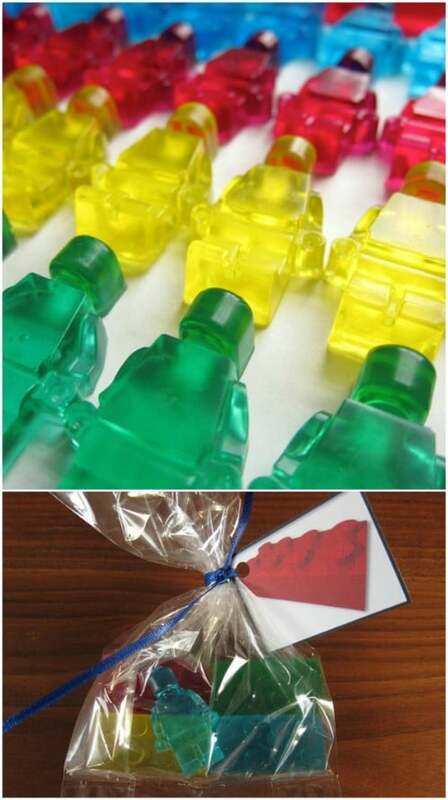 You need to pick up a silicone Lego shaped ice cube tray, which you will use to mold your soaps. 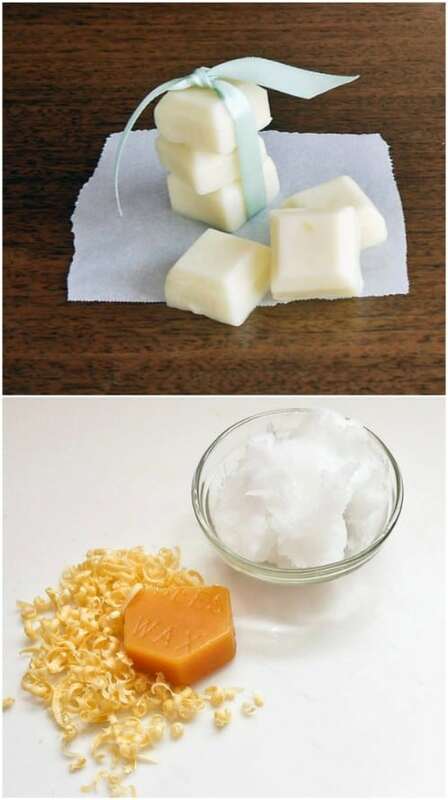 The soap recipe is really simple and makes so many little soaps. You can also add whatever fragrance you want to personalize each batch. Handmade soaps are easy and you can dictate what goes into them to personalize them and make them safer to use. Treat the men in your life to some homemade aftershave in their stockings. I’ve always put toiletries like perfumes and aftershave, not to mention makeup, in stockings which is why I love this idea for making your own aftershave. This is a pretty easy and fool proof recipe, too and you can make it from things that you probably already have on hand. Just add to a decorative bottle and you’re all done. Chapstick is another go to for me when it comes to stuffing stockings. 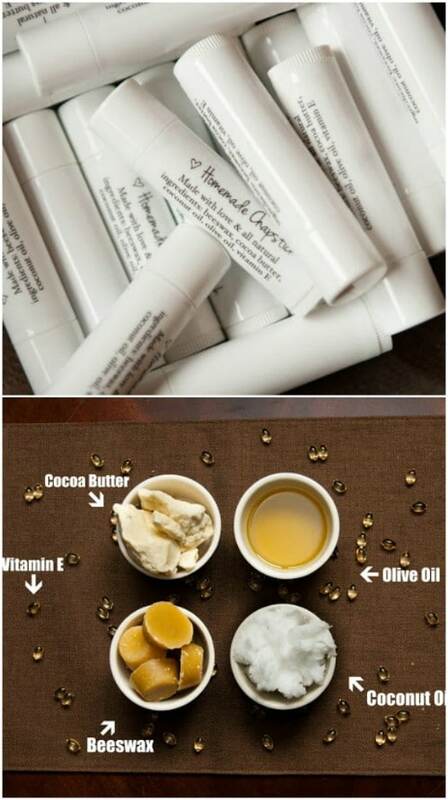 I always include a tube of Chapstick for all of my kiddos and I really love the idea of giving them homemade as opposed to store bought. 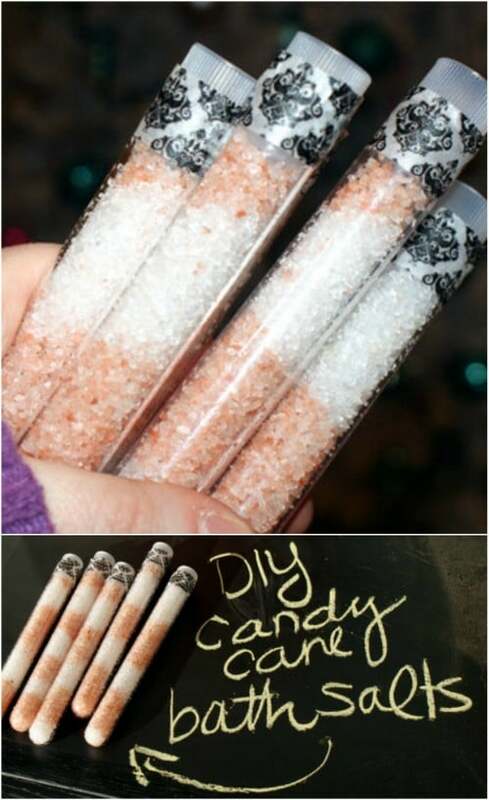 These little tubes are so easy to make and you can customize the flavor and the color if you want. You can buy empty lip balm tubes at any craft store and they’re pretty cheap. This recipe gives you several tubes, too. These lotion bars are perfect for winter because they contain ingredients that will soothe dry skin. They’re also small enough to pack into stockings and they’re really easy to make. You’ll need beeswax, coconut oil, olive oil and something for the scent like essential oil, lemon peel or cinnamon sticks. You could shape these into adorable Christmas characters with a mold or just cut them into bars. 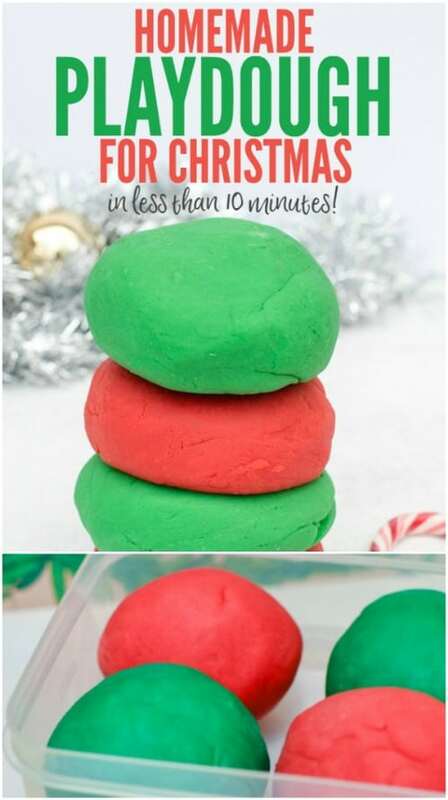 Honestly, what kid wouldn’t just love some homemade Play-Doh in their Christmas stocking? This recipe is so very easy to do and you can alter the batch to make as much as you need. And, it only takes about five minutes to make. You can even color this in any color that you need and then pack it in decorative Christmas containers. And, you can add essential oils to it like peppermint or cinnamon to give it a nice Christmas scent. Everyone loves hot cocoa and you can find these little mixes in most stores that give them individual servings. Of course, you can also make your own DIY hot cocoa mixes and flavor them however you want. I love this vanilla chai version and it dresses up so pretty. 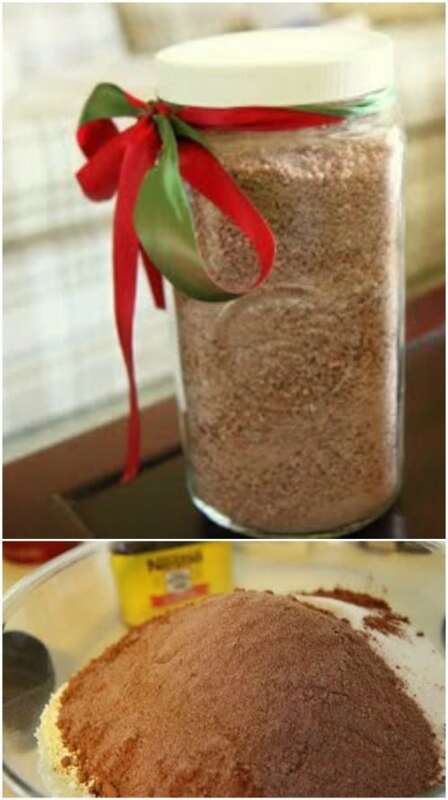 You just put it in a glass or plastic container or even a mug with a little baggie of cocoa mix inside. Kids and adults alike are going to adore their own hot cocoa stocking stuffers. 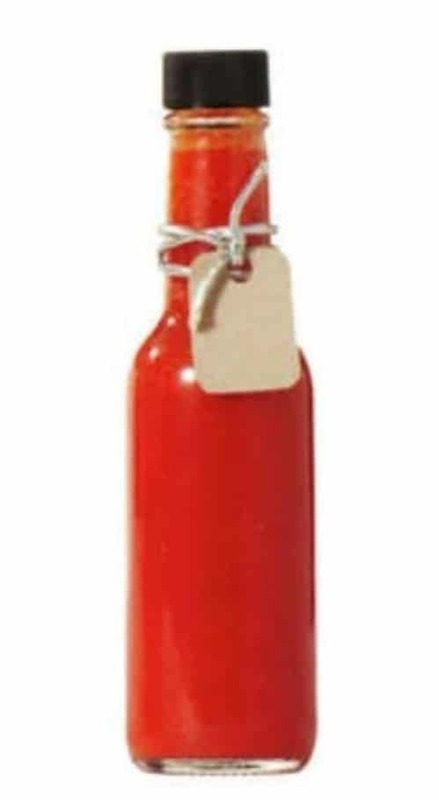 Make your own batch of hot pepper sauce and use that to stuff stockings for the men in your life. This is a great idea for grown children or husbands who love to add a little spice to their cooking. The recipe makes more than six cups, so you have plenty to stuff several stockings. Just grab a few sauce bottles at your local hobby or craft store and fill them up. 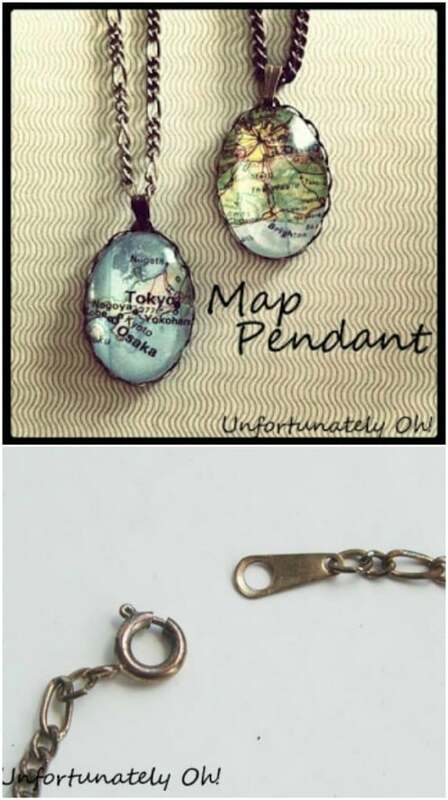 For the travelers in your life, these DIY map pendants are the perfect stocking stuffer. They are easy to make and are so gorgeous when they’re finished. You’ll need a map that you can cut along with a pendant setting, which you can find at Walmart or your favorite hobby store. It really doesn’t take long at all to make these and they’re great for anyone you know who loves traveling. Add this personalized Pottery Barn knockoff nightlight to your kids’ stockings for much less than the $35 that Pottery Barn charges. You can make these for less than $10 depending on how many supplies you have to purchase. They’re easy and so adorable when they’re finished. 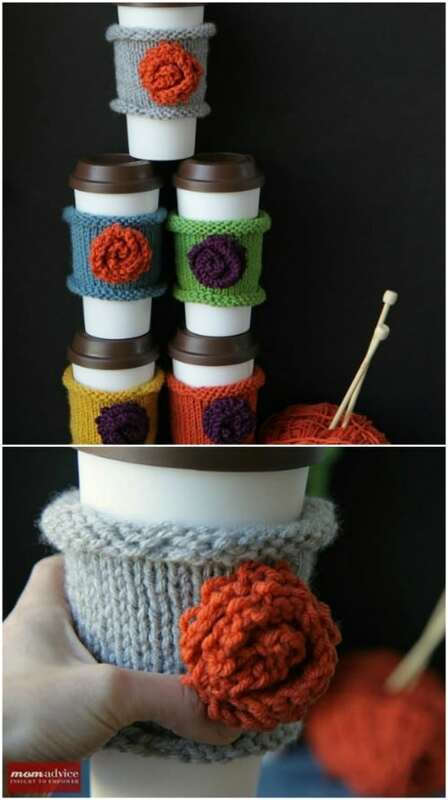 These little coffee cozies are perfect for everyone in the family. Kids will even love them to help keep their hands cool when they are drinking hot cocoa and these are super easy to knit. You don’t need to know any complicated stitches and they don’t really take that much yarn. You could get several from a large skein of yarn and add these along with homemade hot cocoa mixes to a mug for a super stocking stuffer. There are so many easy kitting and crochet patterns for beginners. You could knit any number of gifts for under the tree or in their stockings. 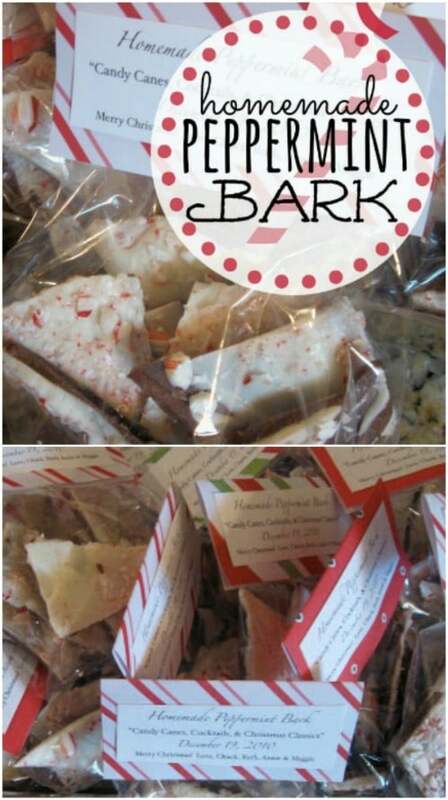 Instead of all of that store bought candy, why not add your own homemade peppermint bark to their stockings? I make this every year and it is so easy and fast to whip up. You get a rather large batch with the recipe so you have enough to fill several stockings…and a little left over for yourself. With crushed candy canes, Rice Krispies cereal and chocolate, what’s not to love about this homemade candy? Give each person in your family their very own ornament for the tree. I realize that Christmas Day is not really the time to give ornaments, but how cute are these for stocking stuffers? They will love them and they’ll love decorating the tree next year with them. Plus, they’re super easy to make and really inexpensive. You could even just hang them off the sides of their stockings. Gum is always a good choice for stocking stuffers, especially if you have teenagers. Now, you can just go buy packs of gum and place them in stockings, but where is the fun in that? 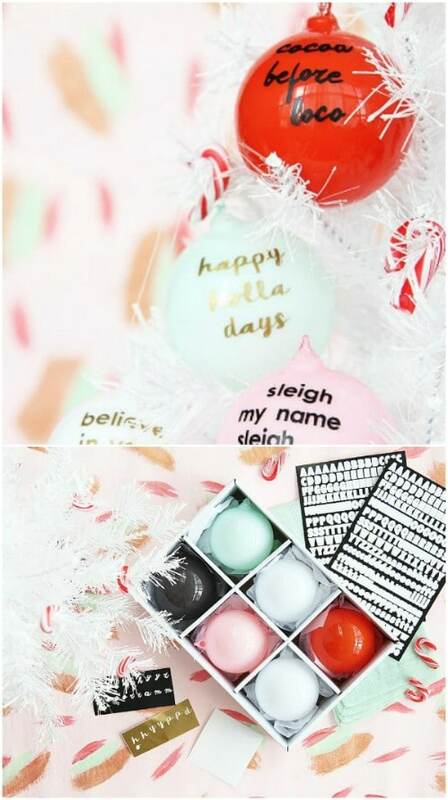 You can also embellish those gum packs with this great snowman gum idea and give them a little more of a festive look. These are so easy and won’t take long at all to do and you can do this with just about any type of gum. 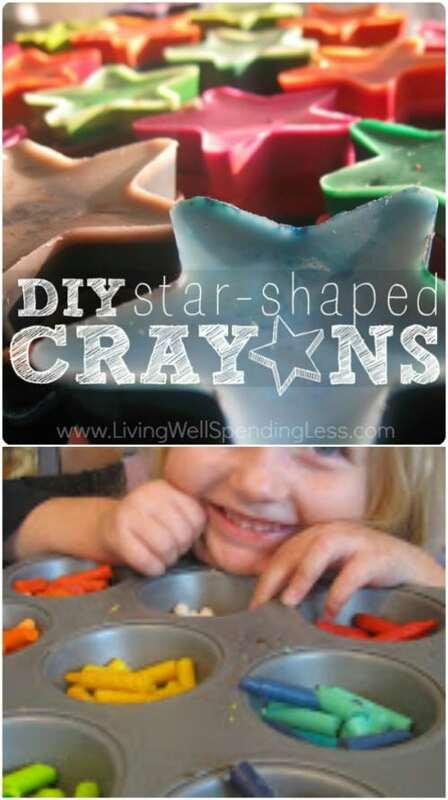 These little star crayons are great for your younger children. You make them by melting down regular crayons – this is a great project for getting rid of those broken crayons, by the way. Melt the crayons in silicone molds. You can do stars or if you want to make them more festive, choose molds for Christmas. It takes about 20 minutes to melt them down and then you can add them to a small box or baggie for safe keeping. If you have little girls, you know how important it is to have pretty hair accessories. That’s where these rolled ribbon hair barrettes come in. These are so easy to make and are really adorable. You’ll need to pick up hair barrette forms or plain barrettes – you can get these at the Dollar Store for a dollar per pack of six or so. 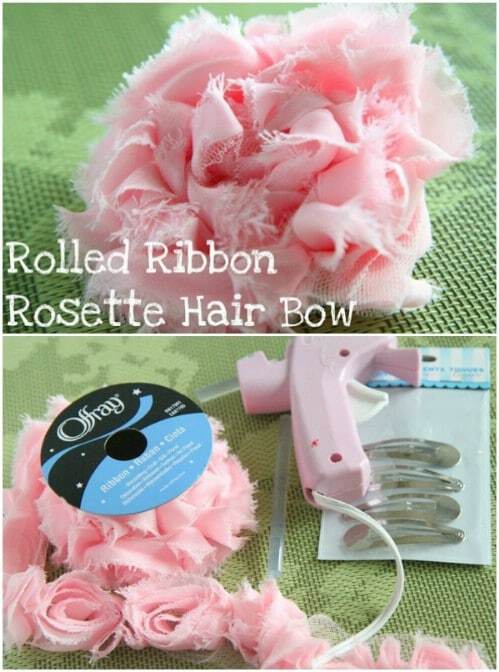 Then just roll your ribbon rosettes and use hot glue to attach them to the barrette form. These wooden picture displays are easy to make, cheap and really cute. 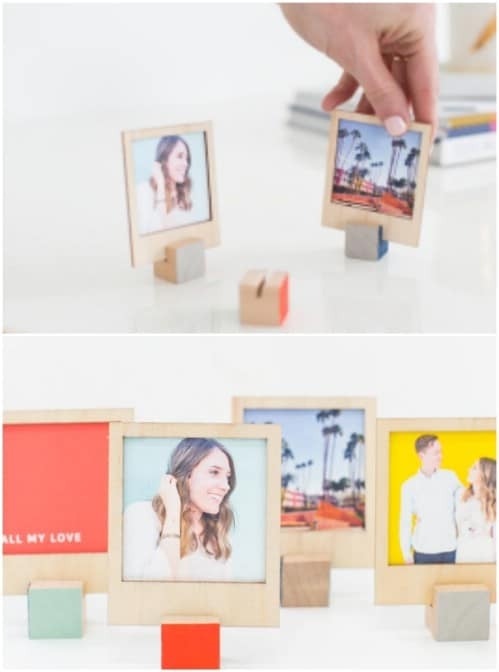 They’re perfect for teens who have pictures of their friends all over their bedrooms or grownups who want to show off their kids or grandkids. If you do stockings for the grandparents, a couple of these with pictures of their grandbabies would be the perfect stocking stuffer. 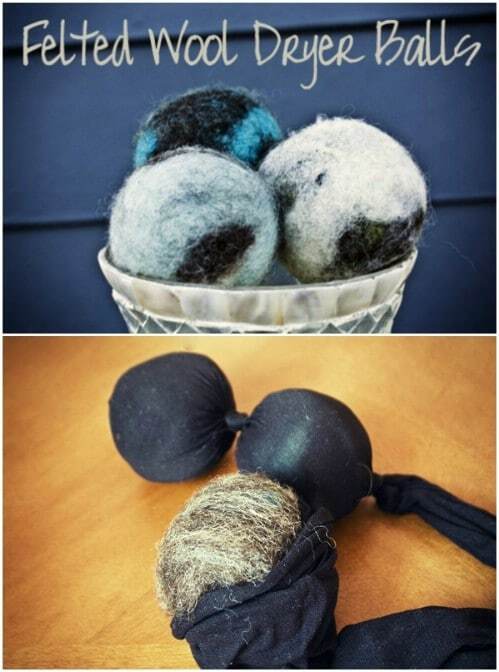 These easy to make DIY wool dryer balls are absolutely perfect for mom’s stocking. They’re also great for grown kids who have their own place and do their own laundry, and they are really easy to make. You don’t need a lot of expensive supplies to make these and they are great for keeping the static down when you’re doing laundry. 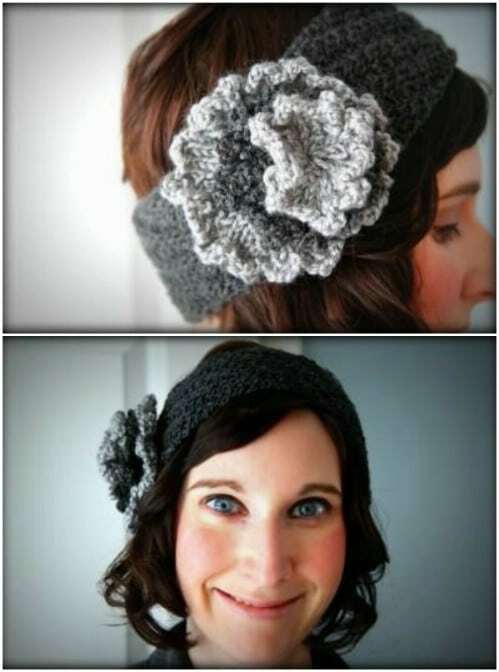 For the girls in your life, these little knit headbands are perfect and they are super easy to work up. Even if you add the embellishment, these won’t take you long and you have plenty of time between now and Christmas to make one for all of your girls. They also make the perfect stocking stuffers because they are small enough to fit inside any stocking and you can make them in multiple sizes to fit anyone. You can even make a DIY knit sweater to match. These coins are actually real coins that you wrap in candy coin fashion. Imagine the looks on your kids’ faces when they get money in their stockings. I love this idea for teens that need change for arcades and other teenage needs and you can do this for dimes or quarters – or smaller coins if you want. They’re adorable when they’re finished and your kids will be shocked to discover that their candy coins are actually spendable cash.